At Underground Autowerks, we don't have marble floors, multi-million dollar buildings or fancy signage. Unlike the San Diego Mercedes dealer, we don't have a cappuccino machine or fancy service drive. You won't be greeted by a salaried, tie-wearing service adviser. Nor do we have courtesy vans, loner cars or layers of personnel acting as a barrier between you and the technicians. We believe these things do not get your car repaired any faster or any better in San Diego, yet you pay for these things every time you visit the dealer. When you call or visit Underground Autowerks in San Diego, you are greeted by an ASE licensed, factory trained mechanic. Our technicians take great pride in their work, as well as their shop, so you will always find a clean and inviting waiting room. Our service advisers schedule a limited amount of work each day so they can give you and your car the personal attention you deserve. Our advisers never rush a customer into a decision, and will always take the time to explain not only what we are doing, but why it needs to be done, in terms everyone can understand. 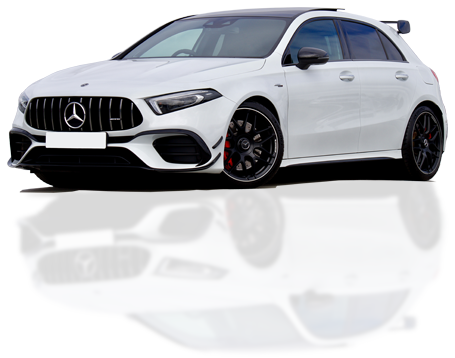 Our goal is to take the time to help you become an educated Mercedes owner, by giving you all the options available, so you can make an informed decision about your car. Savings of 20% or more over the dealer, with the same quality OEM (Original Equipment Manufacturer's) parts, all installed by factory trained ASE technicians. Our parts are obtained direct from factory wholesalers, and are the original parts with which your BMW was built. We are proud to offer our customers the finest Mercedes parts, including Bosch, Bilstein, Mahle, Sachs and Hella. We partner with Enterprise for efficient and economic rental car service, and offer rides to your home or office, as arranged in advance. For your convenience, Underground Autowerks is located in San Diego / National City / Chula Vista near the 5 and 805 freeways. Our philosophy is simple. We give you great personal service and save you money, while offering high quality work. We are committed to giving you the personal attention you deserve and use only original equipment manufacturer's parts, installed by factory trained ASE certified mechanics. The shop personnel have been professional auto mechanics for over 20 years. They take great personal pride in finding the root cause of your automobile's problem, and auto repairing it to the finest possible condition. They have been Certified through the Automotive Service Excellence organization, earning a ASE Master Technician Certification and Advanced Level Specialist Certification in Engine Performance. Our personnel doesn't take short cuts. The job has to be done correctly the first time, period.